Al-Bahar, the exclusive dealer of Cat products, is preparing to showcase Caterpillar’s latest innovations at The Big 5 Heavy 2018 in Dubai, UAE, next week. the Big 5 Heavy is a new, independent, international large-scale exhibition dedicated to the heavy construction industry and will run at the Dubai World Trade Centre from March 26 to 28. With growing demand for reliable and cost-effective solutions among most businesses in the region, Al- Bahar will launch two new machines – the Next Generation Cat 320 excavator and Cat 962L wheel loader. Both are latest inclusions from the Next Gen and L Series product family launches. Al-Bahar is collaborating with Caterpillar for the participation, to leverage the platform to demonstrate the most innovative Cat products and its unrivalled services and customised solutions that help its customers achieve continued success, the company said. ‘New Range. New Rules’ reflects the universal theme for Cat Next Generation excavators. It portrays the powerful message of the new machine and its revolutionising technology that promises to transform the partnership between man and machine. 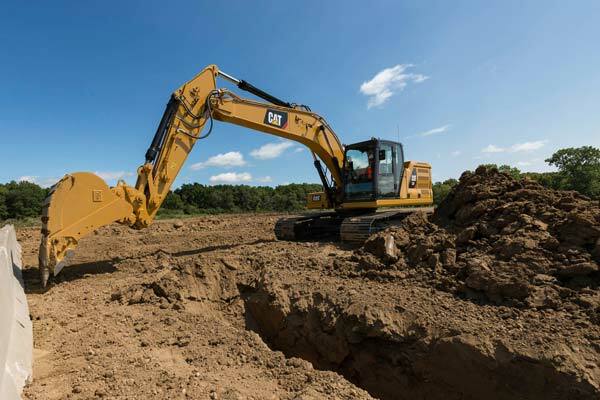 The next-generation excavator is projected to bring ground-breaking development to an entire industry, as it boosts productivity and reduces fuel consumption, the company said. In addition to the two launches, the Al-Bahar/Caterpillar stand – OS A30 & OS A45 -- will display its range of latest excavators, wheel loaders, dozers, skid-steer loaders, backhoe loaders, compact track loaders, and more, including display of Al-Bahar Product Support Services and special promotional offer, including extended warranty and maintenance kits on every machine purchase.